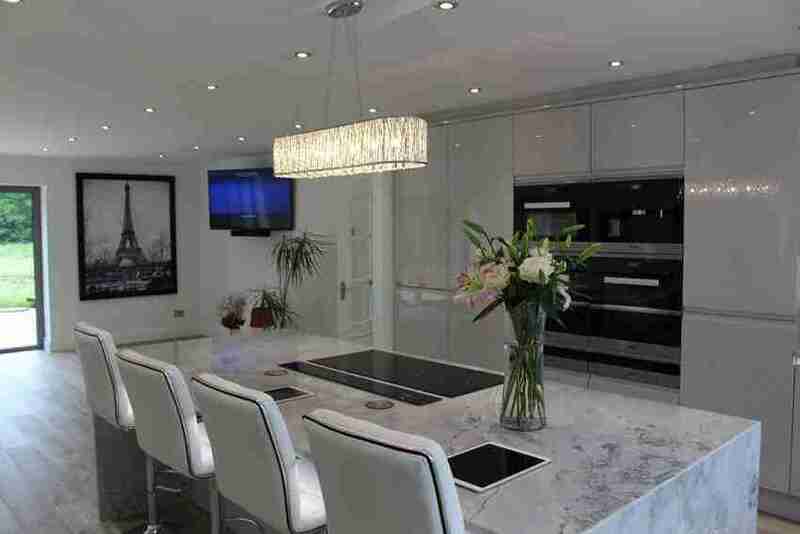 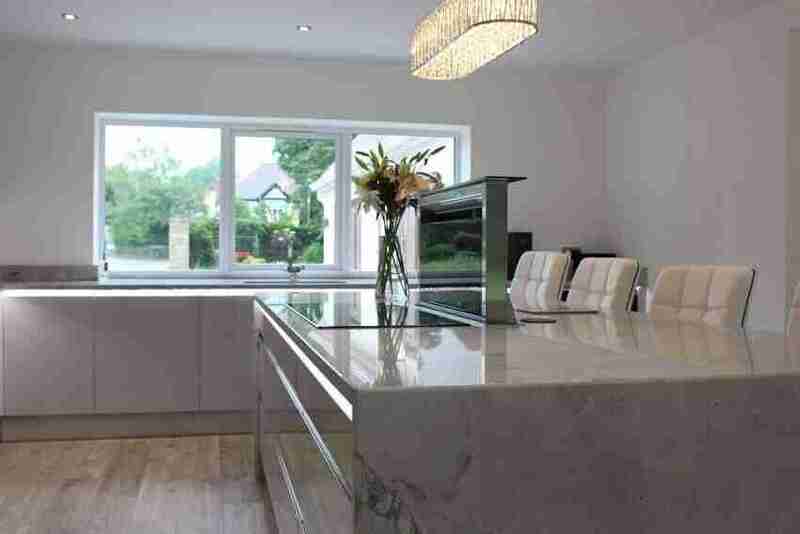 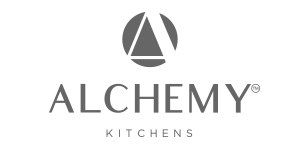 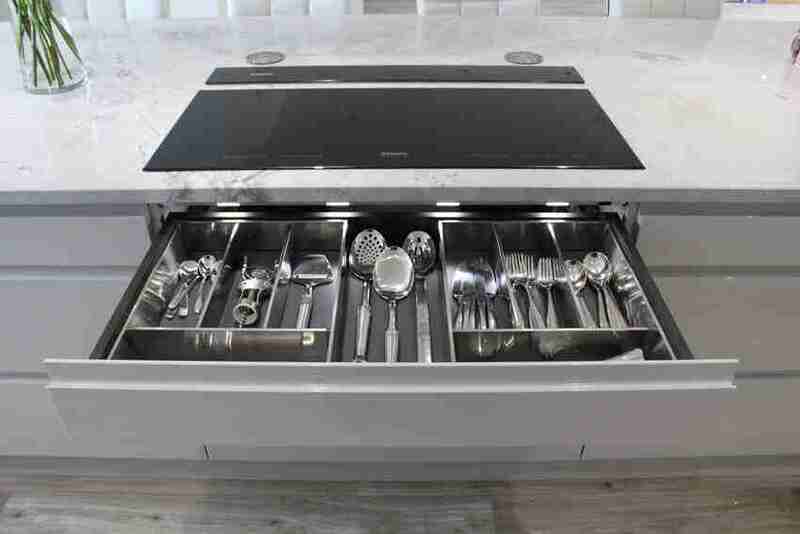 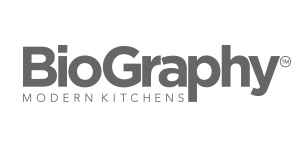 The clients, a young couple, wanted their new kitchen to be designed around their love of entertaining and were clear from the outset that the aesthetics would lead the design over the practicalities. 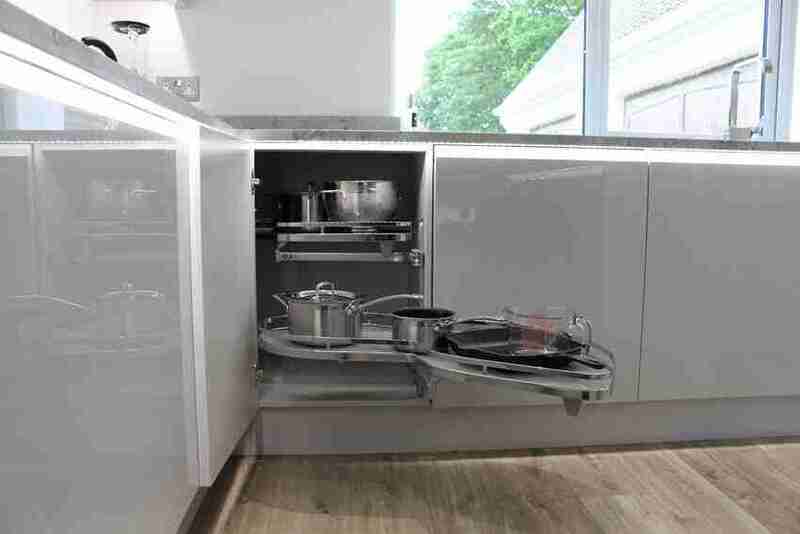 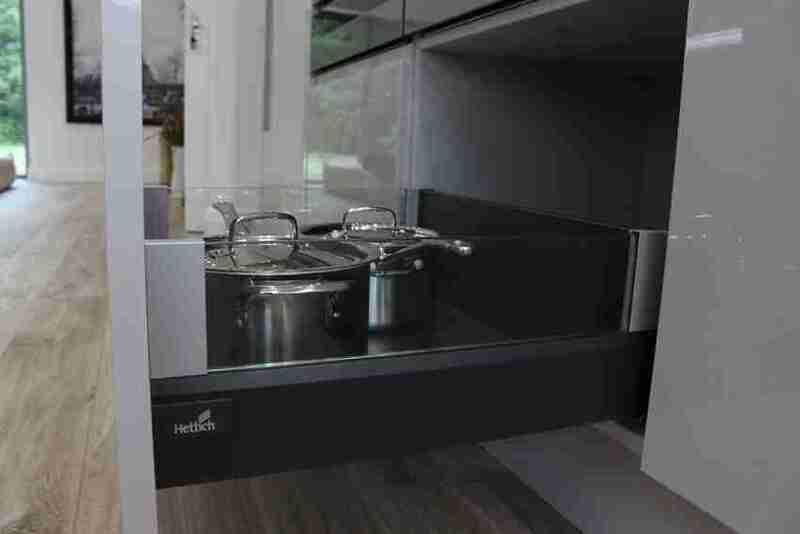 The sleek, handleless style of the Remo cabinetry, coupled with the on-trend dove grey finish, is the perfect canvas to create the contemporary look and feel they had in mind. 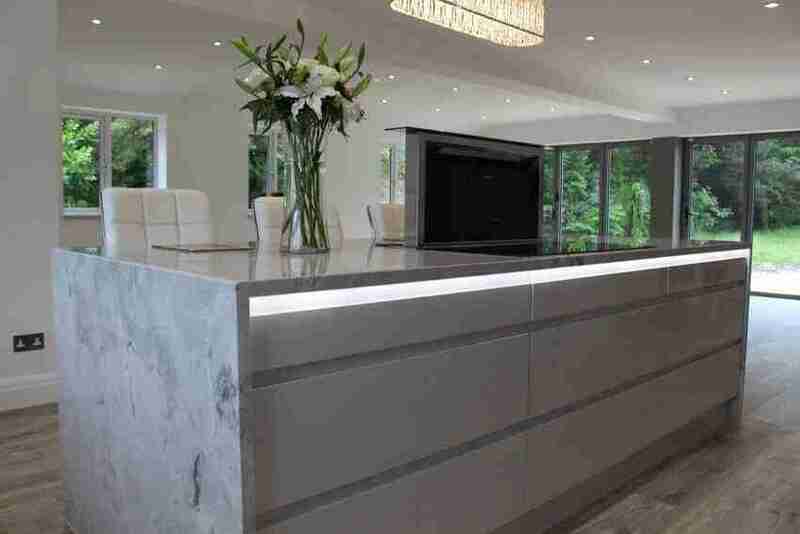 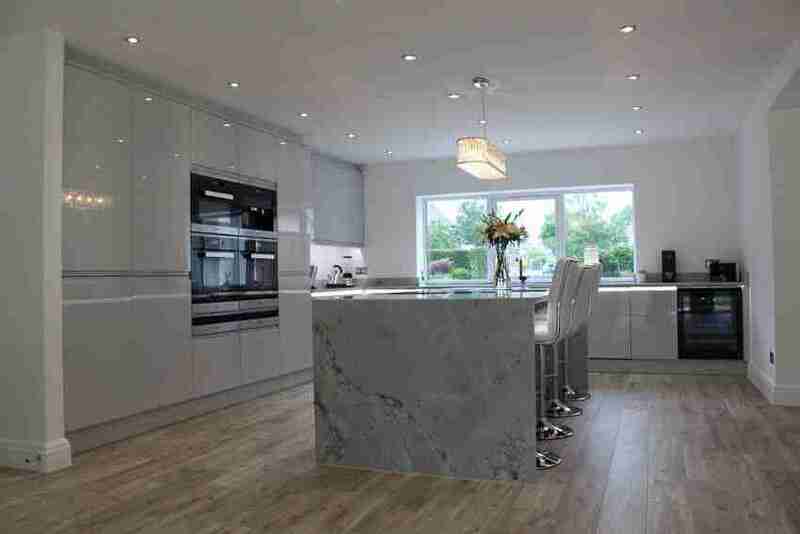 The stunning Centaurus grey granite worksurfaces add a defining statement to the design, with the considered lighting scheme injecting plenty of atmosphere.